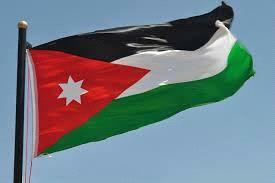 AMMONNEWS - Jordan is participating in the Spring Meetings of the boards of governors of the World Bank Group (WBG) and the International Monetary Fund (IMF), kicked off in Washington on April 10, to be concluded later today. During the sessions, Minister of Finance, Izzeddin Kanakrieh, held a series of meetings and discussions with officials of the two world bodies as well as leaders in the US Treasury and State Department. Talks during the meetings with the US officials tackled the bilateral economic ties and the US assistance program to Jordan. The minister also discussed with his counterparts from Saudi Arabia, Kuwait and UAE bilateral relations and means of cooperation. On the sidelines of the Spring meetings, Kanakrieh took part in a seminar on strengthening "Social Safety Net (SSN) in MENA region, where he outlined the Kingdom's measures in this regard, saying Jordan has increased the number of beneficiaries of the National Aid Fund and developed cash support mechanism. Kanakrieh delivered a speech at MENA finance ministers meeting, in presence of IMF Managing Director, Christine Lagarde, highlighting Jordan's experience in financial and economic reform and the importance of maintaining monetary stability as the cornerstone for promoting economic growth. The minister also held a series of separate meetings with the director of the Middle East and Central Asia department at the IMF, Jihad Azour, as well as a number of senior officials concerned of the financial and economic reform program being implemented in cooperation with fund . The minister's meetings were attended by the Jordanian delegation, including Minister of Planning and International Cooperation, Mary Kawar, Minister of Energy and Mineral Resources, Hala Zawati, Secretary General of the Ministry of Finance, Abdul Hakim Al Shibli, Secretary General of the Ministry of Planning, Zeina Toukan, and Deputy Governor of Central Bank of Jordan, Maher Sheikh. Following his meetings in Washington, Kanakri told Petra's reporter that discussions with the IMF officials on the Kingdom's financial reform program were constructive and positive. He expressed satisfaction over completing the second review of Jordan's economic reform program, expected according to the minister, to be discussed by the IMF Board of Directors at its regular meeting to be held late April. The Spring Meetings of the Boards of Governors of WBG and the International Monetary Fund (IMF) bring together central bankers, ministers of finance and development, parliamentarians, private sector executives, representatives from civil society organizations and academics to discuss issues of global concern, including the world economic outlook, poverty eradication, economic development, and aid effectiveness.